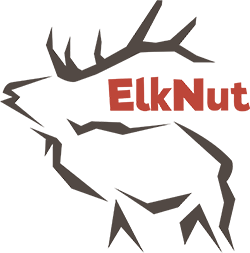 Elknut's Playbook is a pocket sized field guide that was created after multitudes of requests came from those who watched ElkNut's elk vocalization DVD's and wanted to take this printed knowledge right into the woods. With this field guide, you will quickly be able to look up specific topics or situations you have faced or may be are facing at that very minute. ElkNut provides advice on interpreting elk vocalization, solid hunting methods and set-up strategies gained from decades of successful elk hunting. This information can assist a brand new or experienced hunter with just about any encounter you may come across whether a lone hunter or tag teaming. With this Playbook you will have more elk hunting success right in your hand! Click the button below to add the ElkNut's PlayBook to your wish list.